This article is 3156 days old. To expand an image to full size, click the image and a smaller image will appear. Click on that smaller image and a full size image will appear. Photos by Aric Aczel. 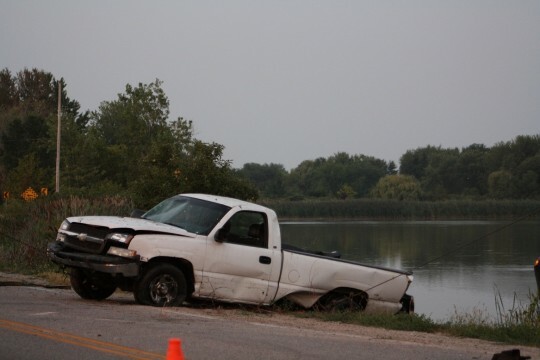 A middle aged man crashed his Chevy Silverado pickup truck into the Canard River around 7:20pm Monday evening. 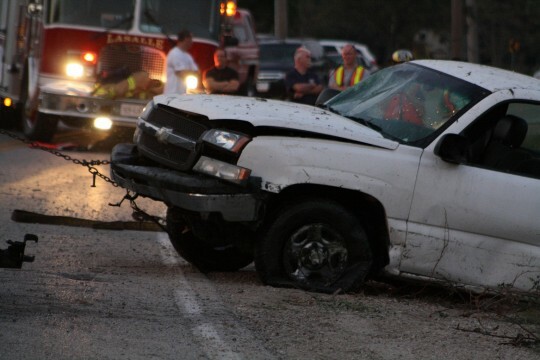 The single vehicle collision occurred in the 9000 block of Malden Road in LaSalle. 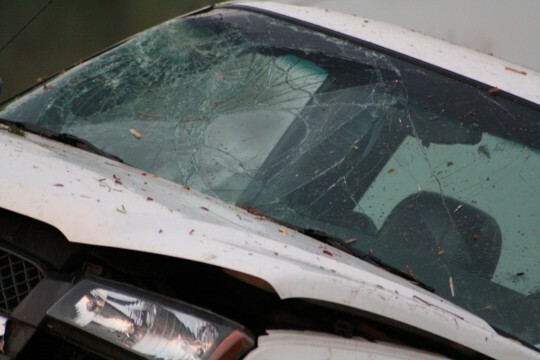 There was also another middle aged man riding in the passenger seat at the time of the accident. There were no injuries. The driver of the pickup truck declined to comment. There does not appear to be any 3rd party witnesses to the crash at this time. 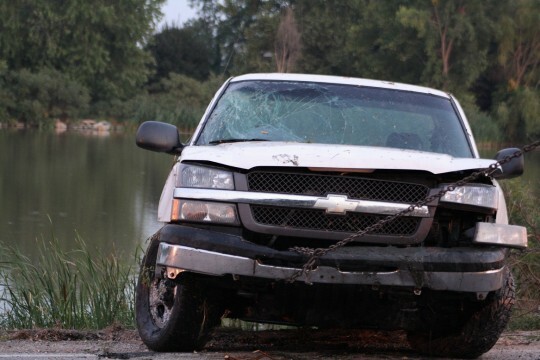 It seems that the truck may have rolled over before coming to a rest in the Canard River as there was considerable damage to the windshield. 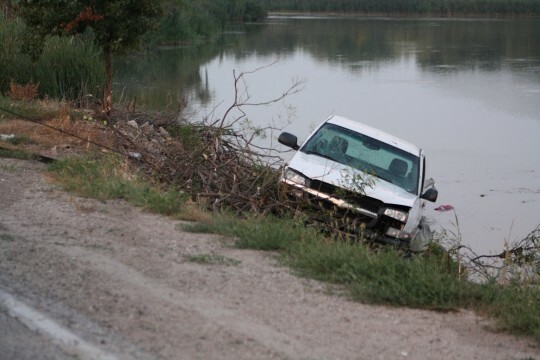 Two regular tow trucks were required to retrieve the truck from the river. There is a slight bend in the road near the location of the crash. That may have been a contributing factor to the truck losing control.